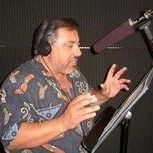 One of our top voice-over talents, “Last Comic Standing” announcer Nick Omana, records our spot. YOU as an advertiser are entitled to LOWER RATES and MUCH MORE VALUE than you are likely receiving from your current agency! We offer strategies, resources, knowledge and services that our clients simply do not receive from traditional branding agencies. We implement direct-response testing methodology in order to save you a bunch of money and drive retail response MUCH more cost-efficiently WITH exposure to more increased customers. Traditional brand advertisers and retail advertisers have benefited from our services because we apply traditional direct-response principles to their radio campaigns. Accordingly, our buys are much more cost-efficient (lower rates), and we assure your marketing dollars reach further (lower CPMs, increased means of exposing your offer). We incorporate free added-value promotions to reach a measurable quantity of potential new customers, which include direct-response elements to assure our campaigns are trackable and accountable for measured results. Retail and branding clients who have benefited from our radio advertising methodology include Pom Wonderful, Brookstone, Directbuy, and Autlock. These companies and other have saved money on radio advertising rates, while buying more efficiently, AND received free added vale promotions designed by the stations to drive additional retail traffic on top of the spots we ran. And most of the free added value promotions were quantifiable and trackable, so as to help measure the lift they received.